Pono, is a very nice Rico Vergossen son out of my last litter. 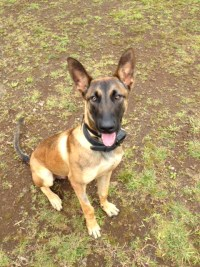 Pono will be a large dog and has nice bone substance with a strong head. Pono has nice prey drive for the toy and started grip work. Pono has been neutered.